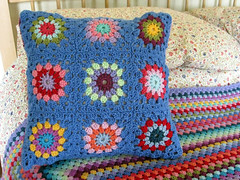 Recently, I was nominated for a Liebster Award by the wonderful Gillian at tales from a happy house, a beautiful blog where Gillian shares her family's life, their home and the lovely things she makes. I feel honored to be nominated for this award. Gillian has been reading my blog right from the beginning and she has been very supportive, which I appreciate so much. She was very kind to nominate me too. 1. I failed my driver's test twice before I passed it, once for being "too cautious" at intersections. 2. I learned to read when I was three years old. 3. I earned a Girl Scout Gold Award, which is the highest honor in Girl Scouting. 4. I have never lived alone. 5. I have two children but I initially wanted a large family, around 4-5 children. 6. I have really big hands and usually need rings in a size 8.5. 7. I was a high school English teacher before I had my children. 8. I sometimes earn a tiny bit of money writing content, mostly for search-engine optimization. 9. I got married at 23, younger than all my friends. 10. I was born on Thanksgiving Day. 11. I am allergic to bee stings. 1. Who would play you in the film of your life? Kathy Bates. 2. If you were to go on a picnic, what would your picnic basket contain? Strawberries, cheese (brie, gouda and sharp cheddar), crusty bread, chocolate, shortbread cookies and something bubbly. 3. Do you have a favourite song? Yes, "One" by U2, since I was 13 years old. 4. What is your favourite season, and why? Fall, because I love the crisp nights and the changing leaves. 5. How would you spend your perfect day? I would eat a bagel with cream cheese, lox and tomatoes for breakfast. 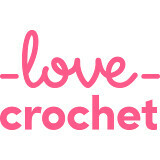 Then I'd go to a good hobby store and browse fabrics for hours. I'd eat a quiet lunch alone in a cafe. Then I would come home and sew. Someone else would cook dinner. It would be simple but elegant, such as roast chicken or shrimp scampi. Then I would go to bed very early and sleep undisturbed for 12 hours. 6. What do you usually eat for breakfast? Oatmeal or cold cereal. 7. What is your most irritating habit? I cry easily and often, especially when I'm nervous or overwhelmed. 8. What is the best gift you've ever been given? My sewing machine. 9. What would you do with £1000? I would have new flooring installed in our family room because the carpet is rather horrifying. I might also replace a few light fixtures around the house. I know, very boring, but these are the things which come to mind first! 10. When was the last time you did exactly what you wanted to do? It's been awhile. I honestly don't remember. 11. Early bird or night owl? Definitely an early bird. I'm in bed by 10:30 every night. 1. What was the first music concert you ever attended? 2. Would you rather be hot or cold? 3. What is your favorite soft drink? 4. Can you whistle? Roll your tongue? Wiggle your ears? 7. Have you ever had a brand-new car? 8. Do you know how to dance? 10. How many pillows do you sleep with? 11. What is your favorite pair of shoes? 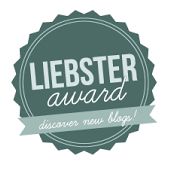 I would like to pass the Liebster Award onto the following blogs that I enjoy reading. All of them are wonderful and interesting. 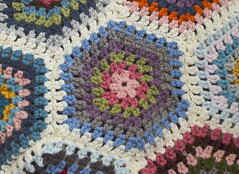 Please stop in to take a look or say hello. Thanks for the nomination Jennifer. So kind of you. Thank you. You are really sweet and I can't wait to answer your questions and read the blogs I am not already familiar with. Thank you for the nomination Jennifer. It was such a lovely compliment. Your perfect day and your picnic sound wonderful. I also love bagels for breakfast. I enjoyed reading your answers. I look forward to answering your questions and to reading all those new blogs and see how each one of them answers the questions. Thanks again! I'm sure you have other blogs you would like to nominate in my place. I failed my driving test three times (for "dangerous driving"!) and finally passed on the fourth attempt. I married at 25 which was considered young and have never lived alone either. I loved the sound of your picnic and your day alone sounds just perfect. These are my favorite posts to read because I can learn so much about someone. My niece is a sophomore in high school and working towards her Gold Award in Girl Scouts as well. I am so proud of her! Congrats to you too;) And if you ever go on a picnic, please bring me so I can share your yummy treats! You got it! I'd love to have you on the picnic. :) Good luck to your niece, it's a wonderful accomplishment.